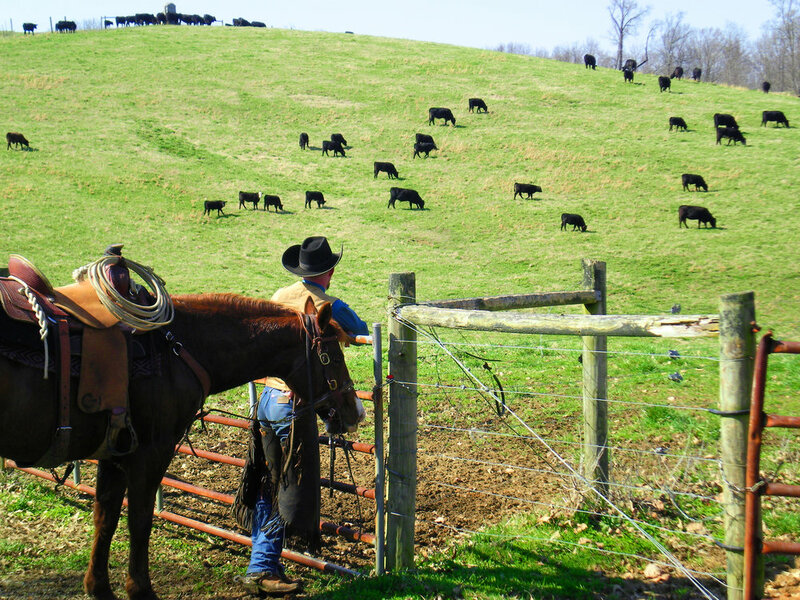 Cherokee Hills Ranch is a 1200 acre cattle ranch that sits just off Route 119 on the TN/KY state line. We purchased Cherokee Hills Ranch in June 2006. We have areas for primitive camping, bring your campers and stay the weekend! We also have horseback riding, and hang out afterwards at the outside beer pavilion. Please contact us with any questions, or stop on by! 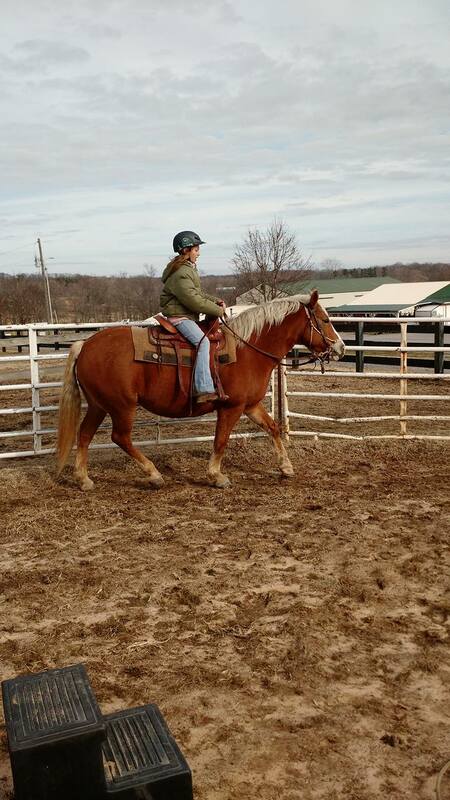 We offer guided trailrides, lessons, boarding, as well as breeding and training of quality ranch horses and mules. Host to many family friendly equine events including the annual Kelso Chuckwagon Races, educational clinics, and group activities, the ranch also features grass-fed Brangus cattle and free-range meat goats. The excellent on-site restaurant, sports bar with outdoor beer garden, trading post and plentiful primitive camping make it a great venue for events. Sign up with your email address to receive news and updates on events, etc. new indoor sports bar, with shuffleboard, pool tables, and a restaurant for all to enjoy some delicious meals! We have a full menu, including great ribeye, T bone steaks, and lake caught catfish. Check out our menu below! We have a ton of Horse events, and live entertainment every weekend at Cherokee HIlls! Hover over our calendar dates to see what's coming up! Click on the event for more info. Give us a call at (731)-232-6045 or send us a message below! Please allow 3-4 business days for a response. Thank you! Unless otherwise noted, check-in is in restaurant. For those needing full hook-ups there are several nearby campgrounds. Primitive camping is plentiful with seasonal shower houses and restrooms. Rates are $15/night with special event rates often available. No reservations are necessary, but in case of inclement weather, calling ahead is recommended. Very limited stalls and pens are available for rent on a first come/first serve basis. Bring your own buckets. Call ahead for hay availability. Most stalls and pens can accommodate two or more equines depending on size and disposition. Rates are $15/night. Stallions MUST be kept in trailers unless in hand or hitched/under saddle. Please take the heat into consideration. Tying or using portable pens is encouraged. Negative 12-month Coggins required and will be checked! Cherokee Hills Ranch provides 1200 acres of working cattle ranch to trail ride. The only areas off limits to trail riders are fenced areas containing horses unless otherwise marked. Accessible areas include open cattle pasture and varied wooded terrain. Some trails are cleared, but riders are welcome to trail-blaze. Questions about property boundaries should be directed to the main office. Please pack out what you pack in. Be cautious when riding off-trail and look for rubbish, downed fences, and deteriorated structures as this is an old private ranch that has passed through multiple hands over the years. Avoid old logged over swampy areas, as downed trees in the overgrowth can make the ground appear more solid than it is. Please respect the livestock, especially during calving and breeding season. Our cattle are worked largely from horseback and so tend to respect the space of a mounted rider, however, they are large animals and not pets. Never attempt to feed or pet adults or calves. Do not harass the cattle. Working cattle in the fields is prohibited except by ranch staff. If a gate is closed, close it. If a gate is open, leave it open. If you see something out of place, report it to management, do not attempt to remedy a situation on your own. You can ride for a couple of days and not have to cross your own path, so enjoy this resource at your leisure. There is a restaurant on-site available for lunch and supper (usually 11am to 8pm or later with some variation in the winter) with breakfast served on Sundays from 8am – 1pm. For those who enjoy stiffer drinks, a sports bar with shuffleboard, pool table, and darts is available as well as an outdoor seasonal “Beer Garden” bar with stage and umbrella seating is popular with bikers, wagons, and horses alike. No hard liquor or mixed drinks. All parties are to be respectful. During warm weather live bands entertain every Saturday and karaoke or bands will be featured on Fridays, also. A menu and entertainment schedule can be found on our website. The Trading Post is open 7 days a week where you’ll find antiques, nick-nacks, building and plumbing supplies, pet and equine supplies, tack, boats and parts, and all manner of goods. Jack loves to make a deal!